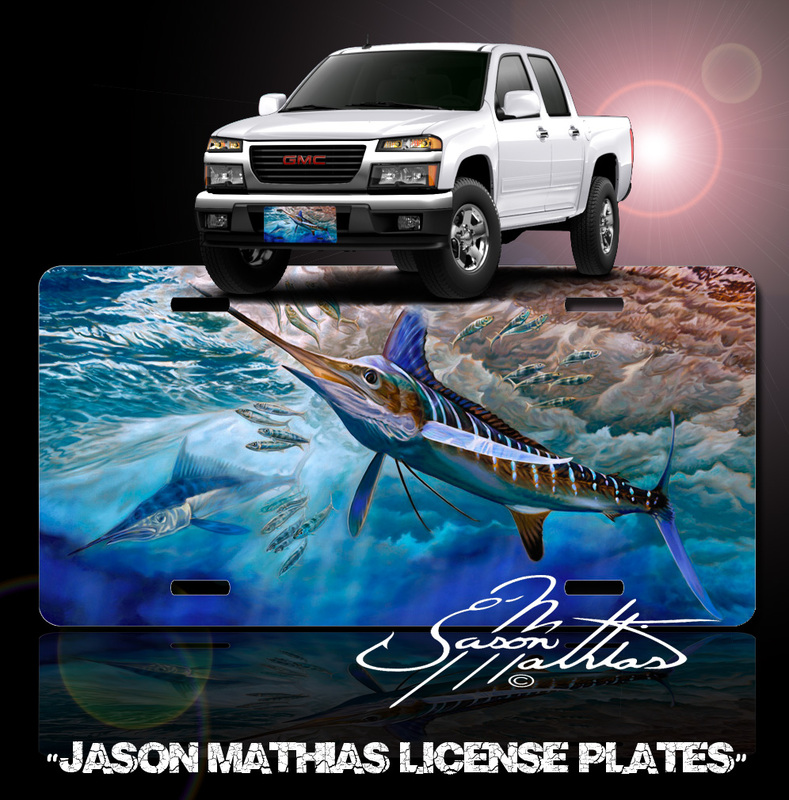 Jason Mathias Heavy Duty Aluminum Metal License Plates! Jason Mathias Artwork is featured in a Radiant Shiny High Gloss! A perfect gift for the avid fisherman who enjoys sportfishing and gamefish and art. Fine Art in Vivid Colors with Crisp Super High Detail! Completely Weatherproof with UV protection and moisture resistant technology to ensure the Highest Quality! You can Easily and Safely Customize your Vehicle immediately! ALL LICENSE PLATES ARE MADE TO ORDER AND SHIPPED USING USPS. DELIVERY TAKES 2 WEEKS OR LESS FROM THE TIME OF YOUR ORDER.